Rwanda restores some pride and they take the series to 3-1 to set up an exciting final Match. 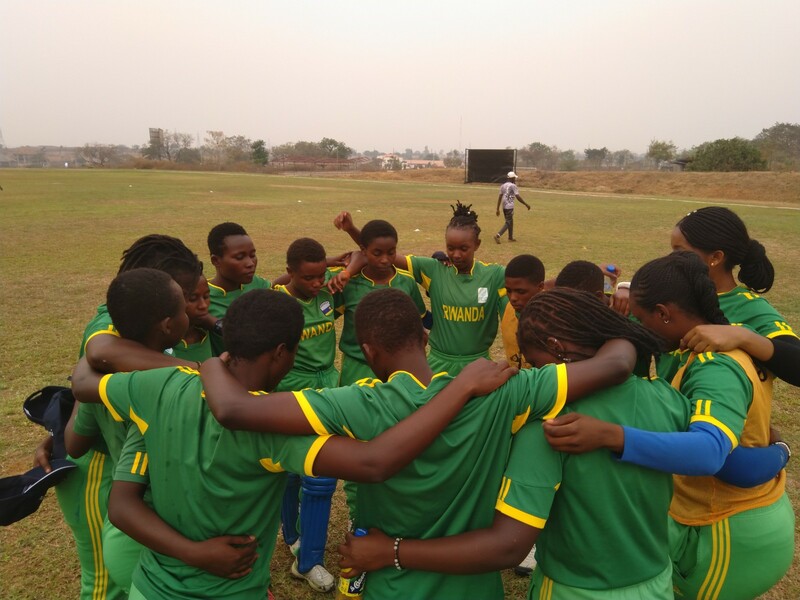 The 3rd match of the 5-match series between Nigeria and Rwanda resumed on Monday 28th January 2018. Nigeria led the series 2 Nil up in the build up to the game. Nigeria won the toss and elected to field first for the third time in 3 matches. 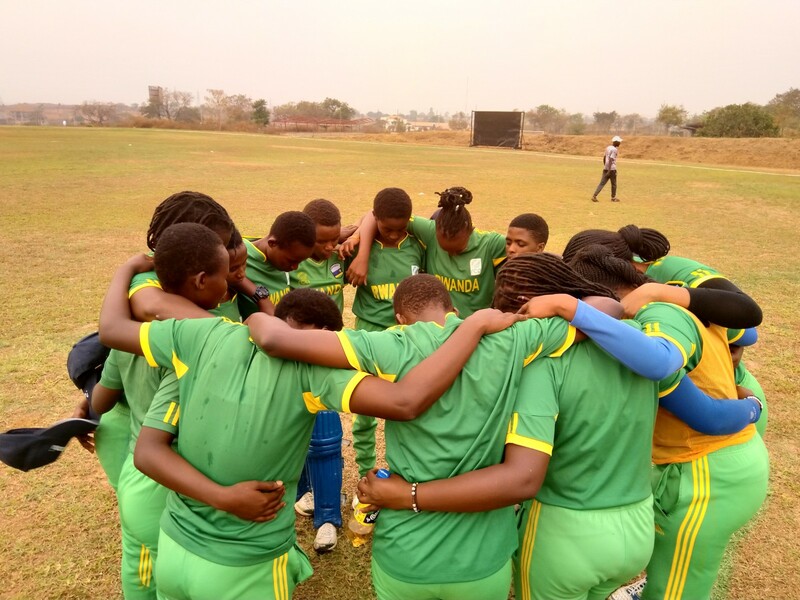 Rwanda started brightly but the opening bowling pair of Blessing Etim and Rachael Samson caused early damage while Agatha Obulor completed the job in the closing stages of the innings eventually restricting Rwanda to a meager score of 60 runs all out in 16.3 overs. Iriho Veronique was the star performer with the bat for Rwanda scoring 16 runs off 22 balls. In the second innings Nigeria chased down the required total to record a total of 61 runs for the loss of 3 wickets in17.4 overs. Esiegbe Favour top scored for Nigeria with 19 runs off 46 balls. Having gone up 3 – 0 in the series, Nigeria won the toss and elected to bat first for a change. 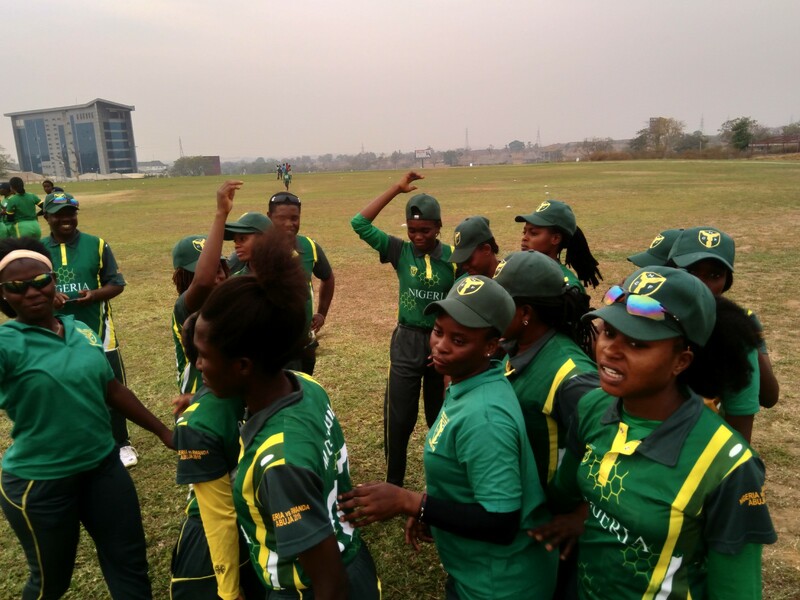 Broken but remain determined, Rwanda produced a spectacle during their bowling spell restricting Nigeria to a total of 79 runs for the loss of 8 wickets in 20 overs. Esiegbe Favor was the top performer with the bat for Nigeria with 16 runs, Agatha Obulor scored 14 runs not out, Blessing Nwobodo also scored 14 runs and Captain Blessing Etim got 10 runs. 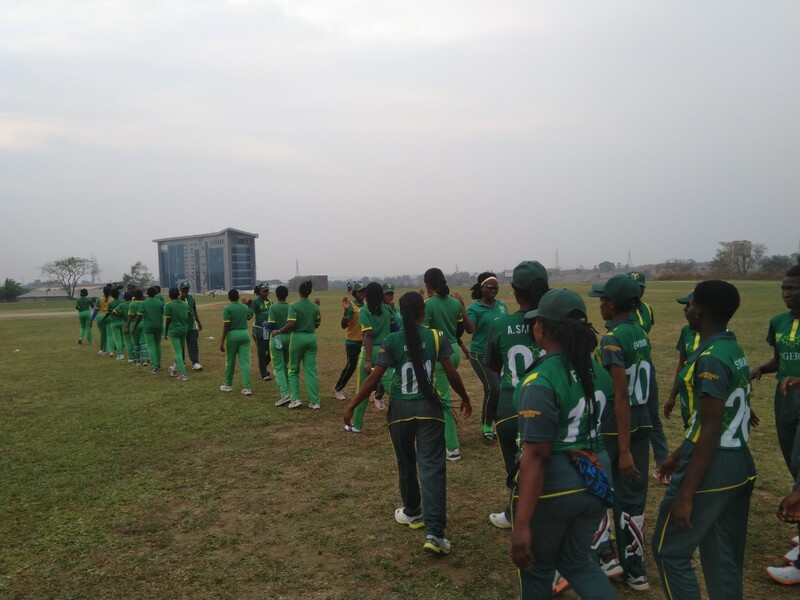 In the second innings, Rwanda came out firing on all cylinders with a dominant bating display racing to 50 runs in just 11 overs losing 3 wickets in the process. Ishimwe Dusabemungu Diane with a masterclass performance of 21 runs off 45 balls strongly supported by Captain Uwera Sarah with 18 runs off 31 balls were the top performers with the bat for Rwanda. 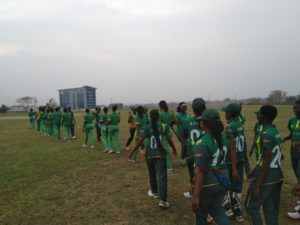 Rwanda eventually chased down the required total to record 80 runs for the loss of 5 wickets in 17.2 overs. No Replies to "Nigeria and Rwanda wins 1 game each on match day 2 to take the series to 3-1"